IDEOLOGY. 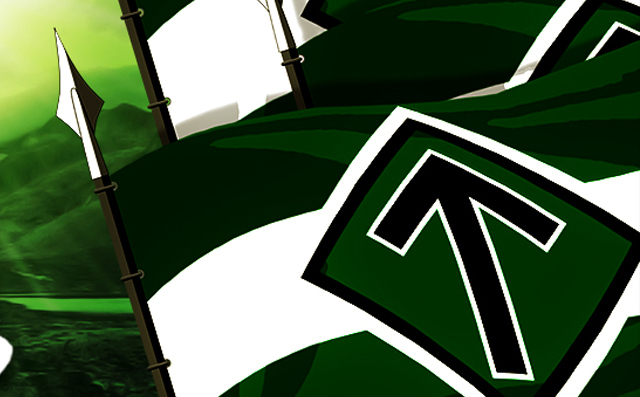 Here follows a brief introduction to the symbols of the Nordic Resistance Movement. 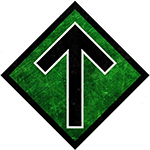 The National Rune is the collective symbol of the Nordic Resistance Movement. It is comprised of a Tyr Rune and an Ing Rune. The Tyr Rune symbolises courage, self-sacrifice, struggle and victory. The Ing Rune symbolises fertility, creative energy, purposefulness and focus. The symbol’s green background signifies our connection to nature and its eternal laws. The colour green has long been associated with the Resistance Movement, as the connection it represents is at the very core of our ideology. The symbol’s white edges represent our race; and the rune’s black colour denotes structure, order, hierarchy and discipline: all important characteristics for an organisation faced with such an important mission as ours. 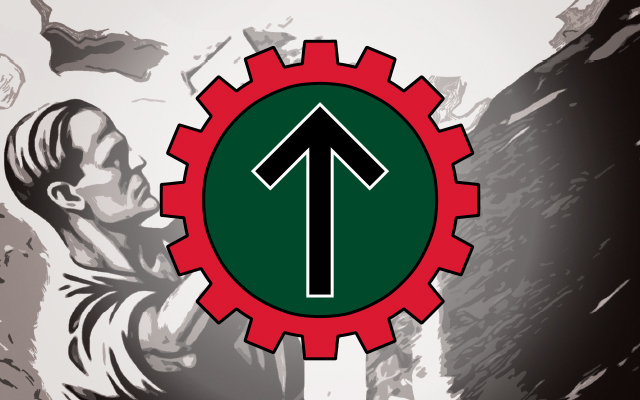 In keeping with the organisation as a whole, the Nordic Resistance Movement’s parliamentary branch also uses the Tyr Rune as its symbol. According to the beliefs of our forefathers, Tyr was the god of combat. He embodied bravery, honour and, not least, self-sacrifice, which he demonstrated when he allowed the wolf Fenris to devour his hand for the sake of the gods and mankind. 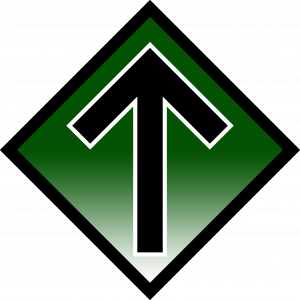 But while the Tyr Rune reminds us of the deeds of our forefathers, it also encourages us to look to the future, and to the battles that stand before us. The rune embodies our race’s determination to survive, and our readiness to secure this survival no matter what the cost. The parliamentary symbol is surrounded by a red cogwheel. The colour red represents National Socialism, the right to work, and the struggle against Zionist financial power. The wheel symbolises the People’s Community and the belief that all Nordic peoples shall be born and grow up with the same rights and responsibilities. The wheel also signifies the foundation of genuine sovereignty and liberation from the dictatorship of international finance. Previous articleCan the Sweden Democrats save Sweden?